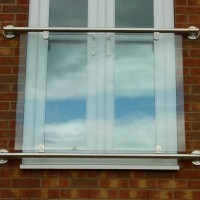 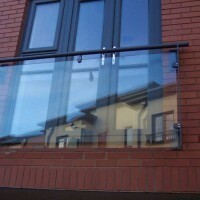 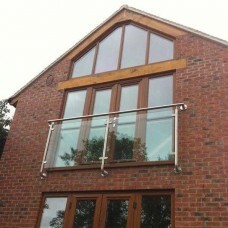 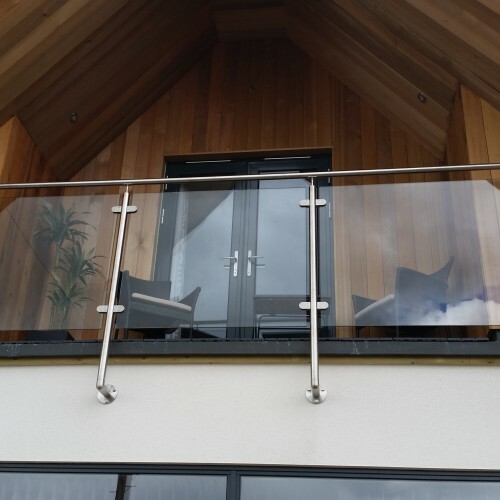 Modern and contemporary real glass juliet balcony - Various sizes available. 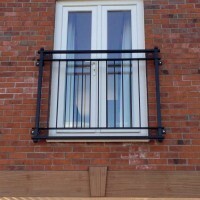 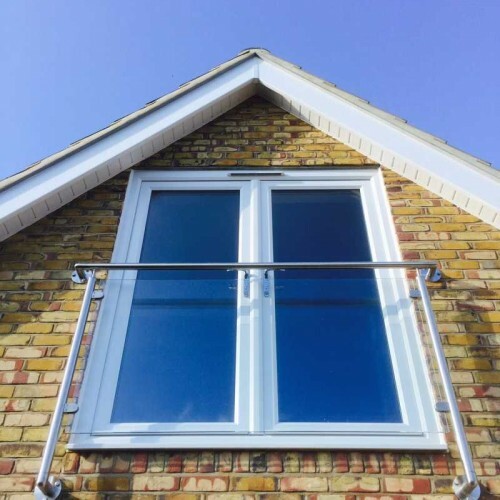 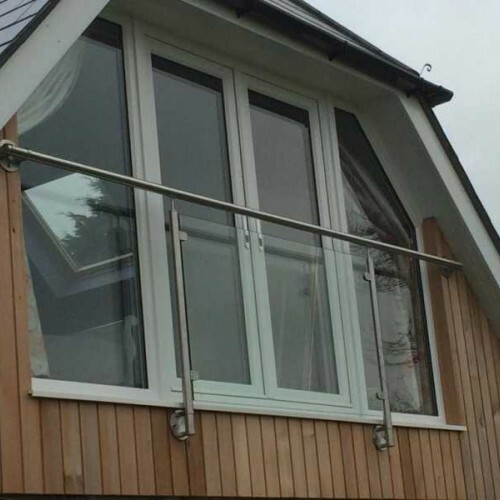 Balconies are made 150mm wider than the door opening each side as standard to bracket centre. 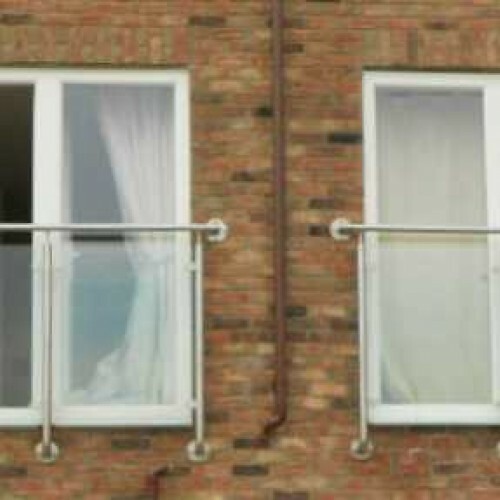 See PDF on the left for more sizing information.